The following resources are related to the academic job search. In addition to the links provided, watch for events coming up that are relevant to your search. And don’t forget, Career Coach, Linda Whited is available by appointment to help you in the job search process. 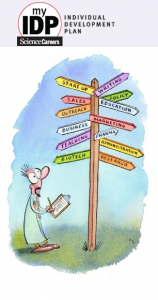 The American Association for the Advancement of Science website allows for self-assessment and creating career goals specifically for PhDs in the sciences with tips to help along the way. Build your Skills. Take advantage of all that the Teaching and Learning Center at WFU offers. See their workshops here. Prepare for interviews. InterviewStream is an online free for all WFU students to help you prepare for your interview. Prepare your Job Talk as well. Evaluate your offers. Consider your budget and where your money goes. create a free account on Cash Course using your WFU email address. On Cash Course, compare job offers and analyze where your paycheck goes. Research cost of living in your target geographic location. Negotiate your offer. Review Faculty Salaries. See these tips for negotiating your salary from OPCD.